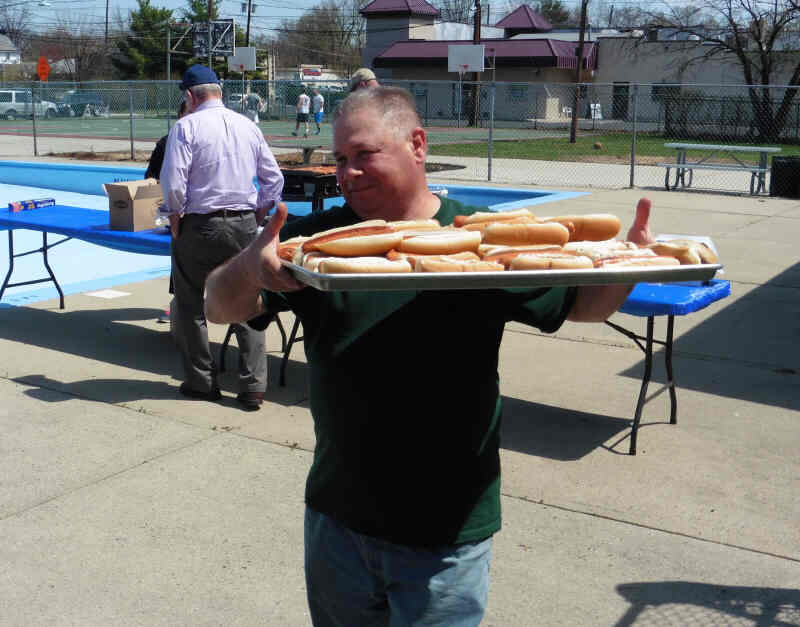 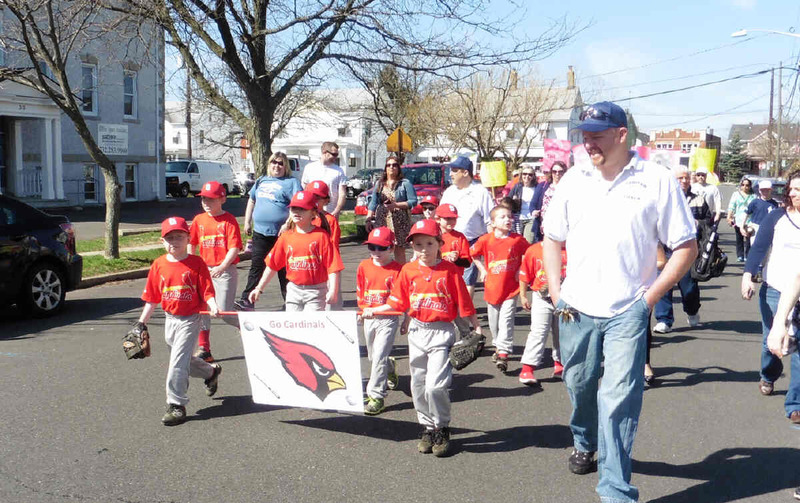 The old tradition of the Opening Day Parade was revived and Rich Bartolucci was honored. 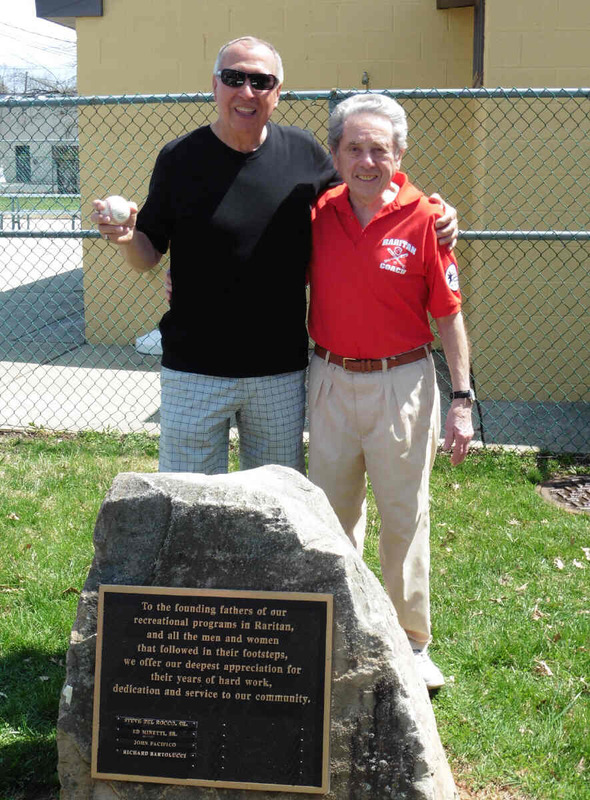 Former Recreation Director Rich Bartolucci does the unveiling. 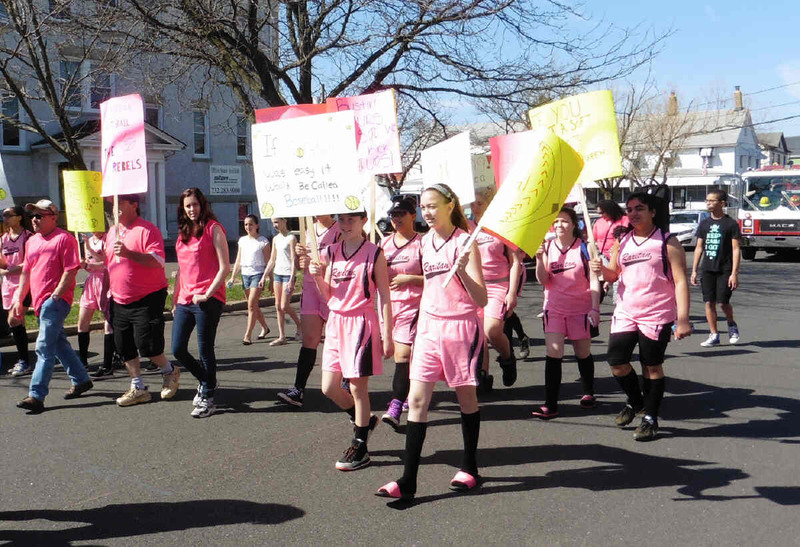 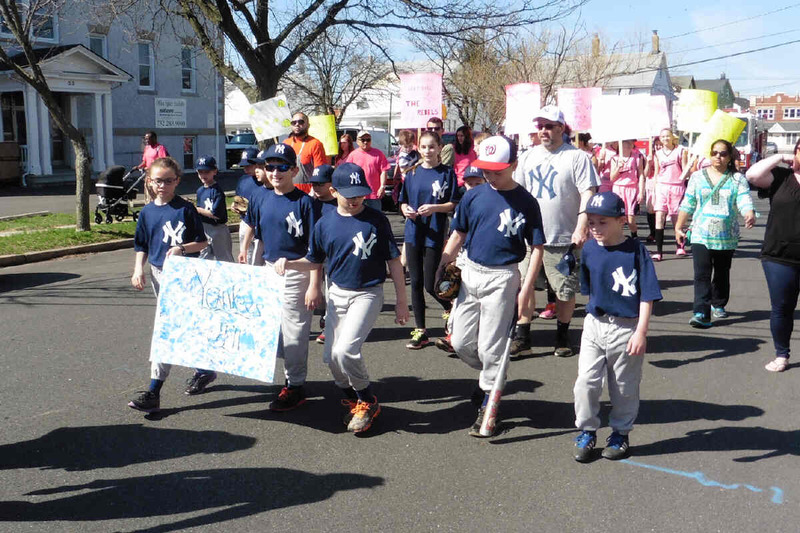 The Parade marched from The Municipal Building to Frelinghuysen Field. 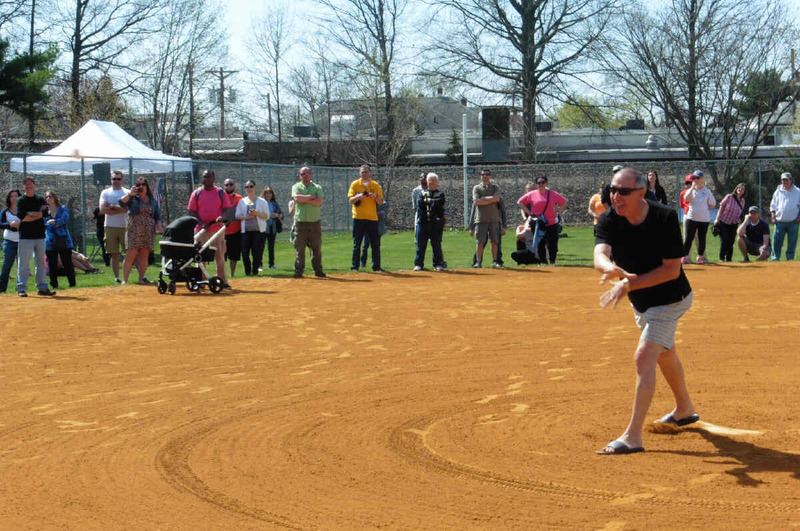 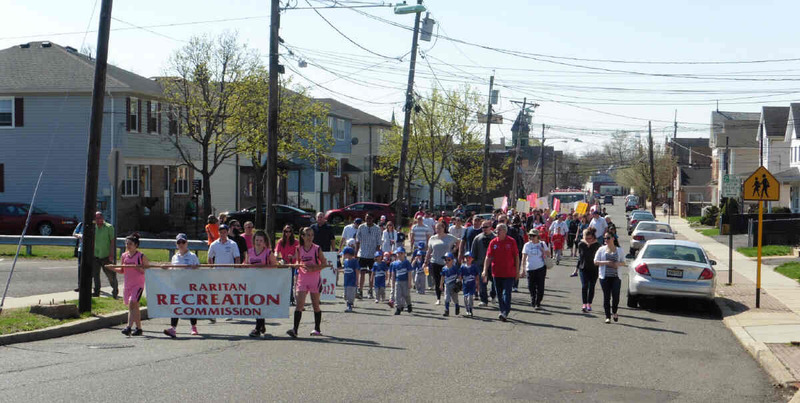 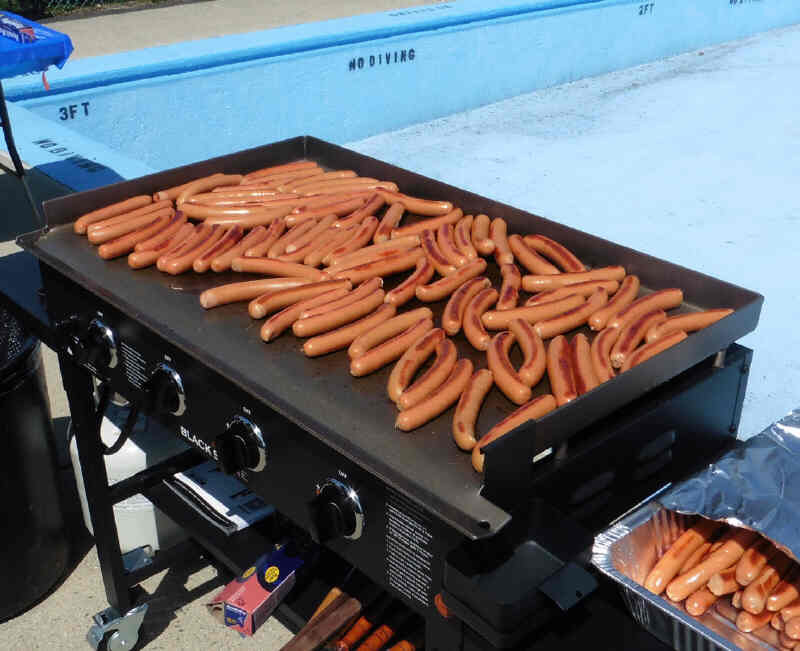 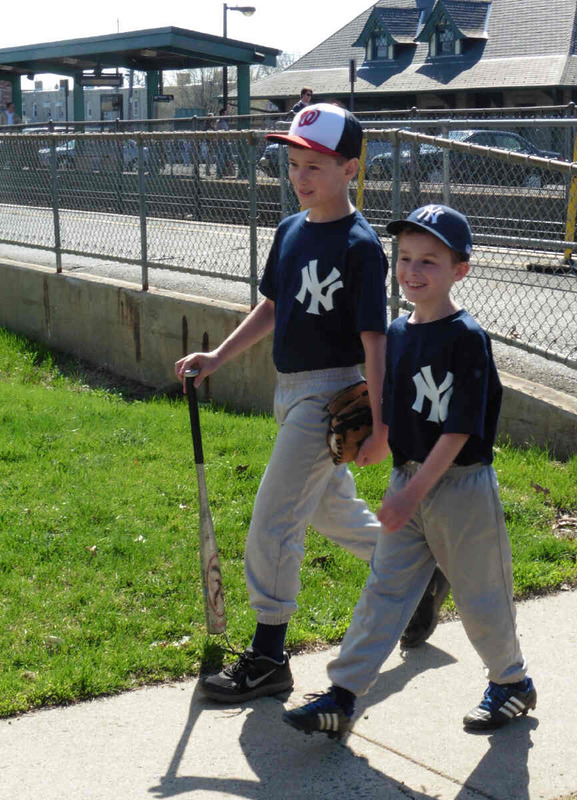 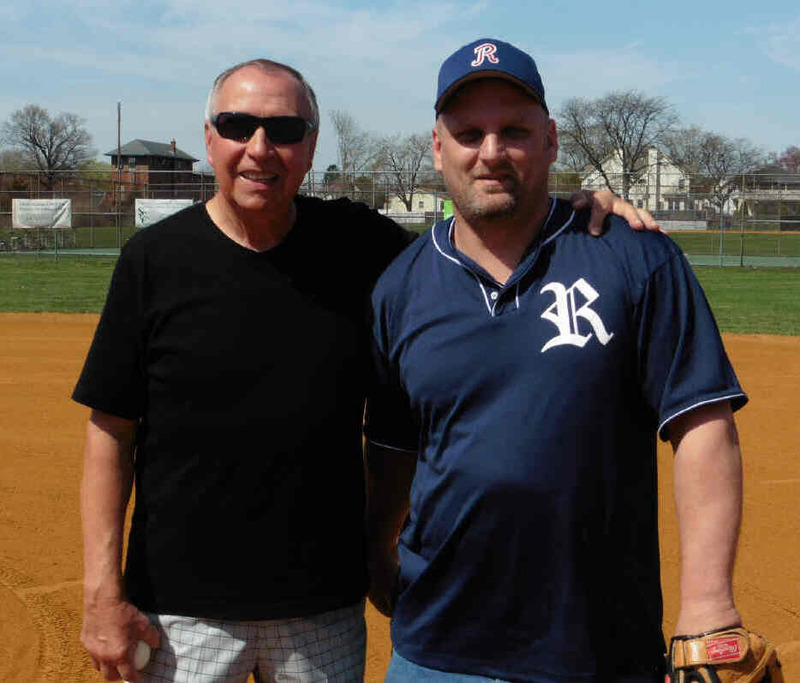 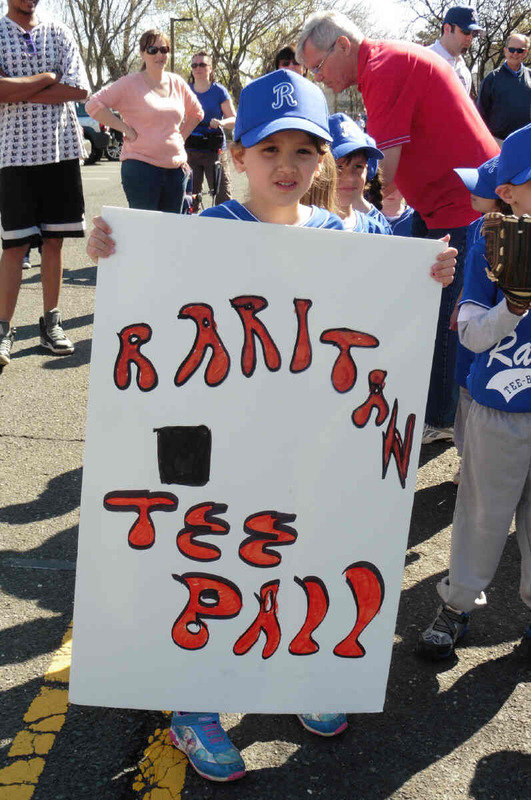 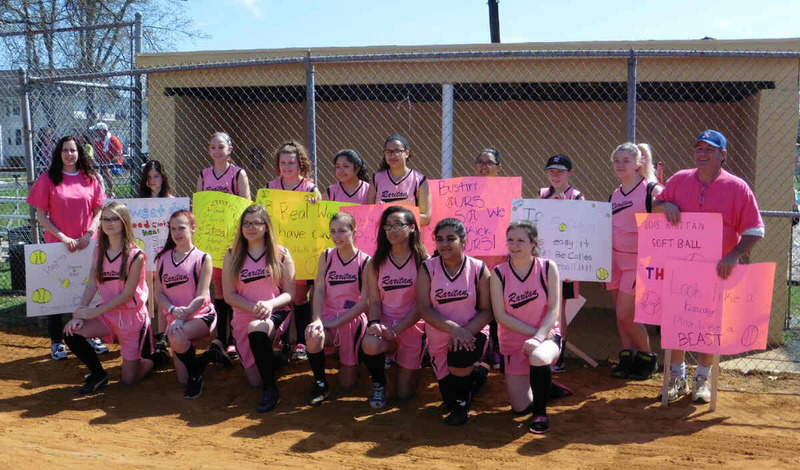 The Opening Day Parade was a tradition for decades in Raritan. 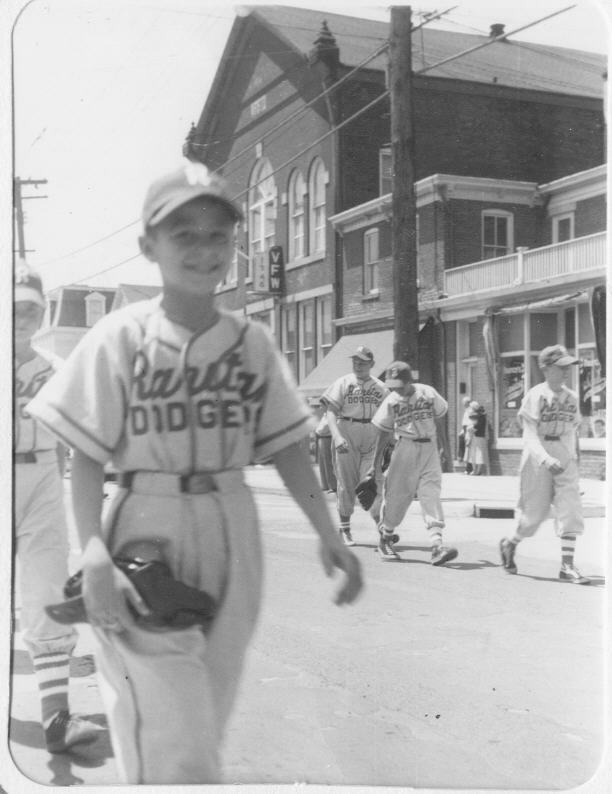 On the left is today's Recreation Director Bob Andreychak at age 12 in the Little League parade 61 years ago. 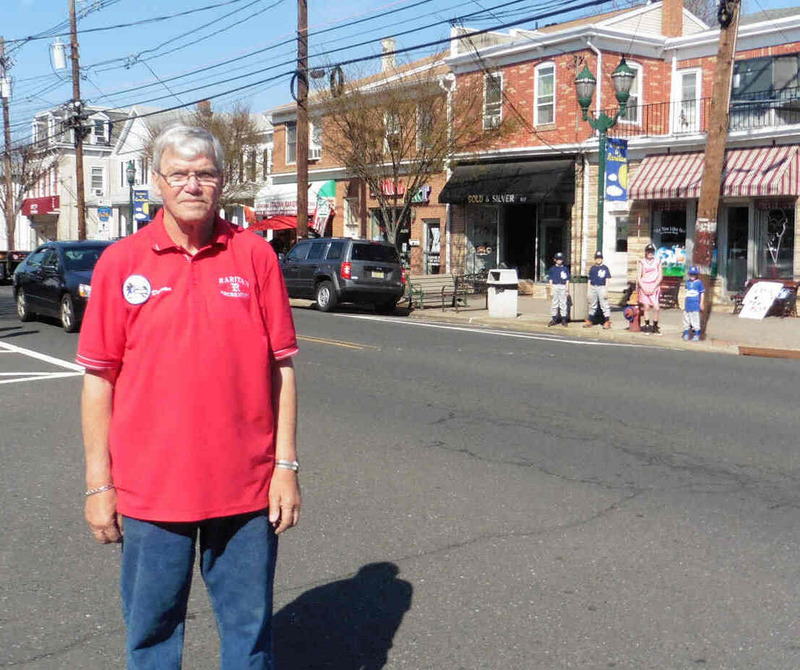 And on the right, Bob stands in that same spot the day of this year's parade.